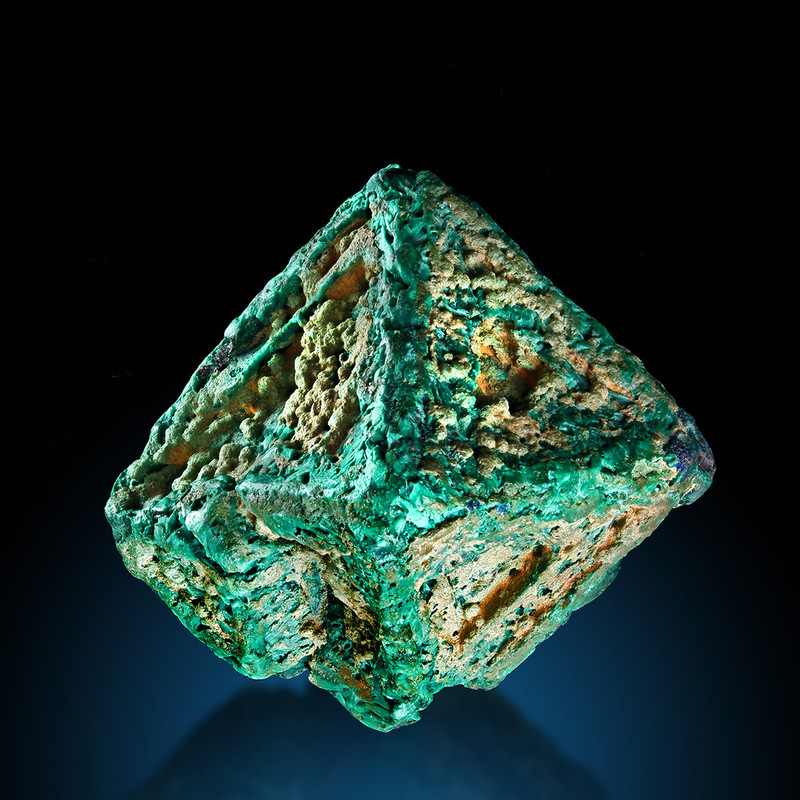 Cuprite from Chessy is usually not larger than 1 or in exception 1,5cm - so this one is extremely large, I would say the doubled size as we usually know from the locality. It is a floater and shows a very sharp habit. 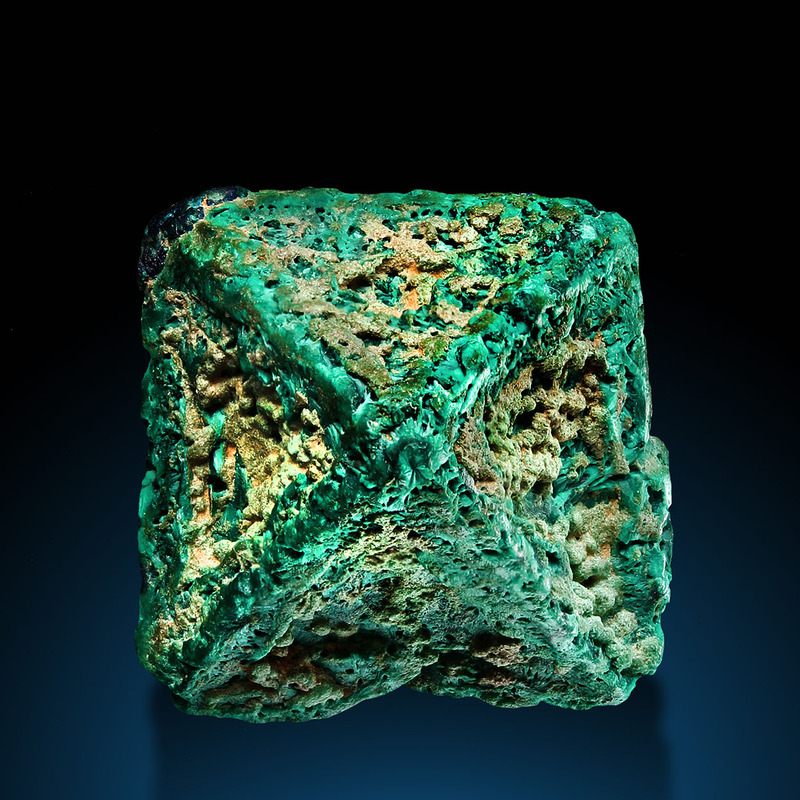 It is in a stage of alteration to Malachite. The faces are completely etched and show very interesting nd eye-catching texture - the crystal begins to get hollow - but all etches are sublimed and sharp. It looks great all around and there are no damages at all.